Q: How close is Kensington to neighborhood happenings? Q: Is there a laundry facility located within Kensington Place Apartments? A: Yes! We have three laundry rooms conveniently located on the 2nd, 4th, and 6th floors in the building. Q: Is there off street parking available? A: We offer complimentary off street surface parking for all tenants. Reserved parking in the attached covered garage is also available. A: There is no fee application. 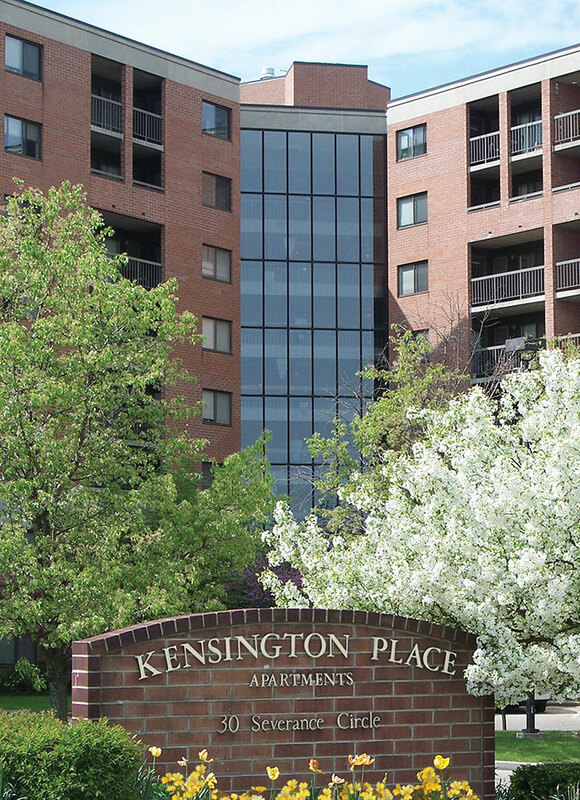 Q: What extra amenities and services are available at Kensington Place? Two-bedroom guest suite rental for your out of town visitors.